Zumaia is located in a charming bay where rivers Urola and Narrondo join. Green mounts go down to the sea, forming rough cliffs. Zumaia is a seaside town that has many attractions, among others, two wonderful beaches, an interesting Old Town, a modern leisure port and a wide range of restaurants. We begin our visit at the medieval Old Town. There we will be astonished by the magnificence of the church of San Pedro, a gothic church dating from the 13th century. The building looks like a fortress, without any decorative elements on its exterior walls. Inside, this one-nave church can be named as one of the most beautiful gothic constructions of the Basque Country. In fact, an altarpiece by Juan de Antxieta was declared National Monument. Walking down the narrow and steep streets of the Old Town, we will discover other relevant buildings, such as Zumaia and Ubillos palaces or Olazabala and Goikotorre houses. The Itzurun beach is the nearest one to the village. It's open to the see and sheltered by the hermitage of San Telmo. Its sand and water is beneficial due to the high concentration of iodine. On the other hand, Santiago beach is situated in the eastern area of Zumaia, next to some marshes formed by the river Urola where it flows. This great beach is located near Zuloaga Museum, the former studio-house of the famous Basque painter, also chapel and hostel of the Way of St. James, where most of his works are collected. The amazing cliffs are also worth a visit. From Itzurun beach to Deba, it is possible to take a wonderful walk and admire the appealing rocks by the sea. 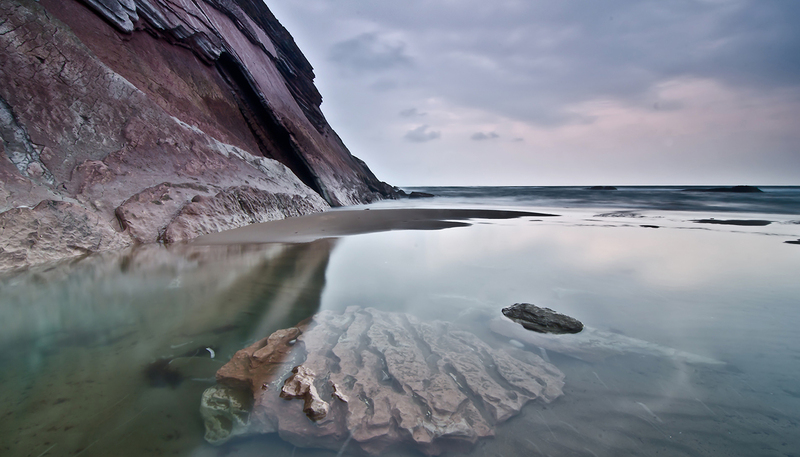 At low tide we can observe a curious phenomenon known as Flysch. The sea erodes sandstone and limestone rocks forming different sheets. There are organised excursions to visit this beautiful landscape. Zumaia's most important and traditional festival is celebrated in April and honours San Telmo, patron saint of seamen. People dressed in blue costumes that are a reference to the typical cloths used by fishermen flood the streets. Besides, the town hosts the San Pedro's festival that includes varied activities and fireworks, concerts, etc.